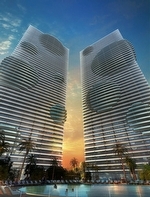 The Element in Miami's neighborhood of Edgewater is a project by the Related Group and the firm of Arquitectonica consisting of a pair of 55 story buildings towering over the Biscayne Bay waterfront, easily distinguishable by the unusual circles that slightly jut out of the buildings and extend the space available in the terraces/balconies of select units. 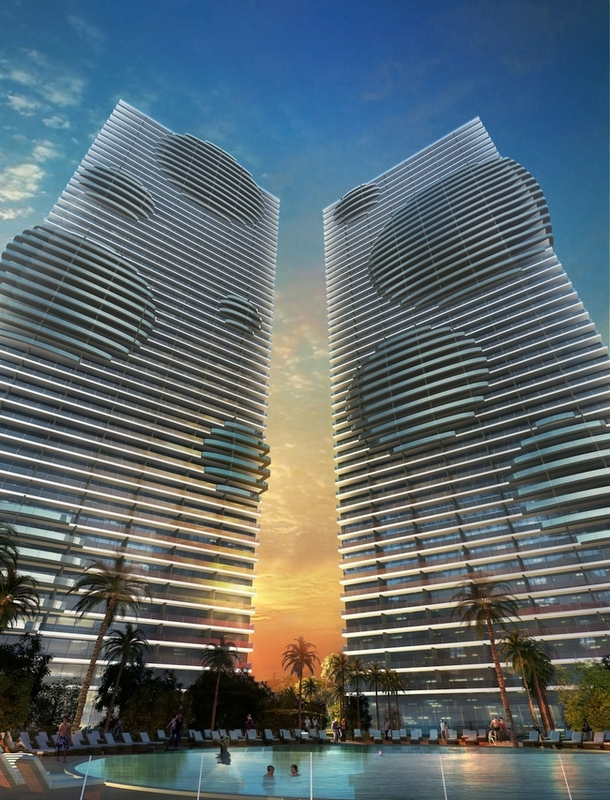 You'll find a total of 700 Miami condos for sale starting on the sixth floors of each building, 358 units in one and 342 in the other. 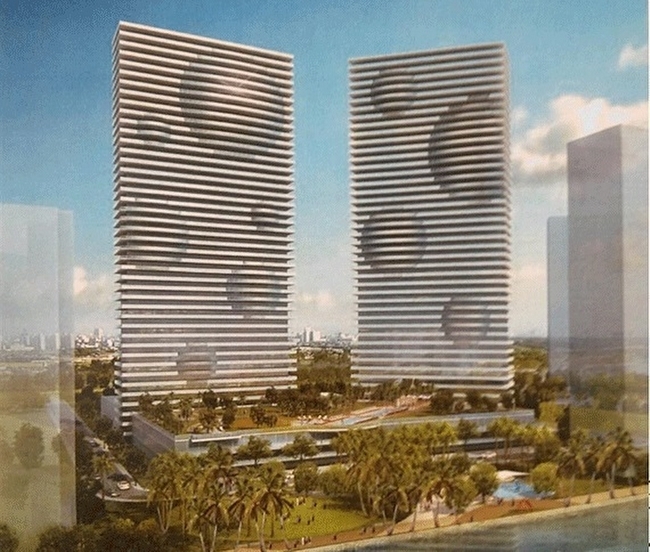 Some of the features you'll find in the Element condo include oversized balconies that each have a view of the bay, a swimming located on a two acre deck over 900 feet of linear bayfront to explore. The residences are available with one, two, three and four bedrooms as well as penthouses. 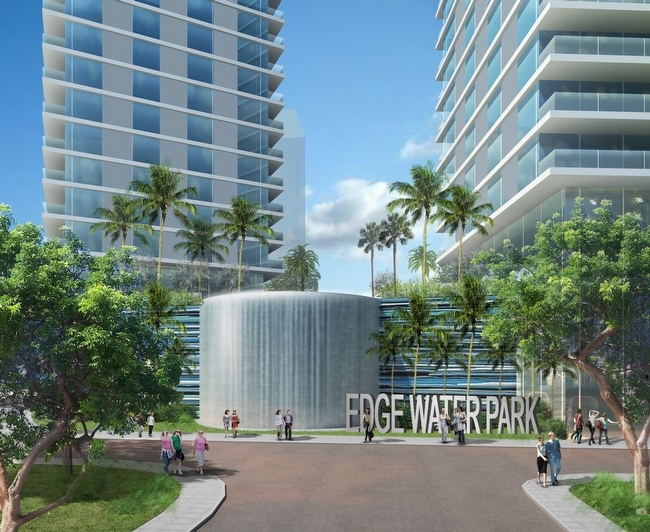 The Edgewater neighborhood and the position of the Element condo make it ideal for a leisurely stroll while you admire Biscayne Bay. The building is also near The Shops at Midtown Miami, a great place to indulge your retail urges. The Julia Tuttle Causeway directly north of Element provides an easy means of visiting the city of Miami Beach to the east across Biscayne Bay. 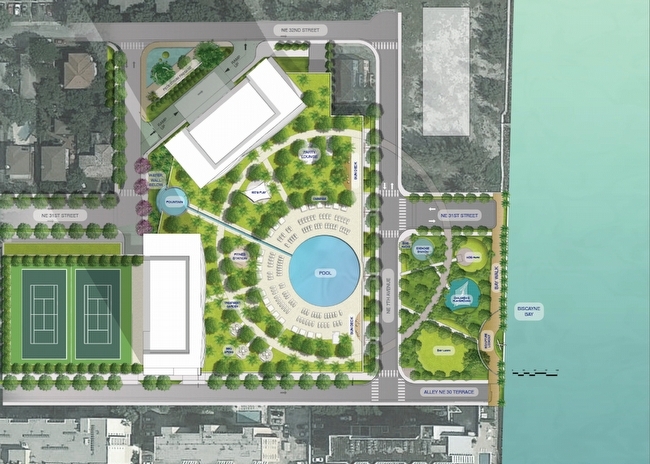 Biscayne Boulevard also intersects many notable areas, including the downtown area.